Looking for something to decorate a nursery? A wedding gift? Something for your living room wall? How about making your own flower filled letter. I bought all of mine from hobbycraft. The fillable wooden letter was £3.50, you could also try their cardboard letter to decopatch or stick onto, or how about this copper wire letter and attach a few flowers to it using wire (you can buy wired flowers in the bridal section). I bought the flowers from their floristry and also their bridal section. These weren’t cheap and from the floristry section I had to cut all the stalks off. I think you could probably get cheaper silk flowers, and more of a colour selection online. So maybe worth shopping around if you have time. Also some of the flowers were shorter and tucked away under the larger ones, so make sure to really get in there and check all the buckets!! I used the hobbycraft mini glue gun which is only £5 and you can buy mini glue gun inserts too. Just plug it in, let it heat up for a few minutes and then simply pull and hold the trigger for the glue to come out. Be careful of fingers and hands, the glue is HOT when it comes out! Probably not one for kids to use unsupervised. Before you start gluing, set out all your flowers to decide how you want it to look. The glue sets quickly, use a generous amount, and once you’ve finished it should already be set and ready to go! This took me only about 15 minutes to do, so a nice simple craft that would be great in your own home or as a gift for a child or a wedding. You can also get the & symbol, so you could do this for a couple with both of their initials. There are plenty of other things you could also fill this with such as pom poms or maybe even succulent plants!! 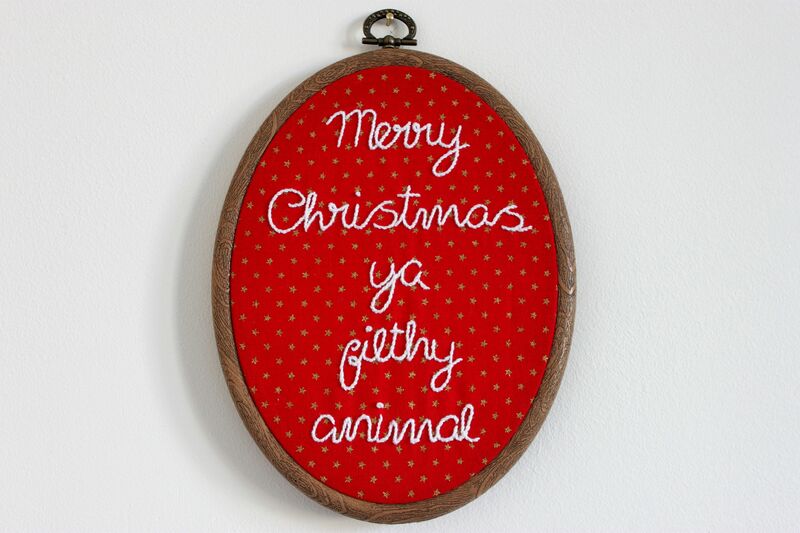 Let me know how you get on by sharing in the comments, or on instagram- tag me @josiemakes. I love crafts, I’ve taught myself to cross stitch to patterns, to design my own cross stitches, to embroider, to crochet and knit, but one thing I could never quite get my head around was making clothing. 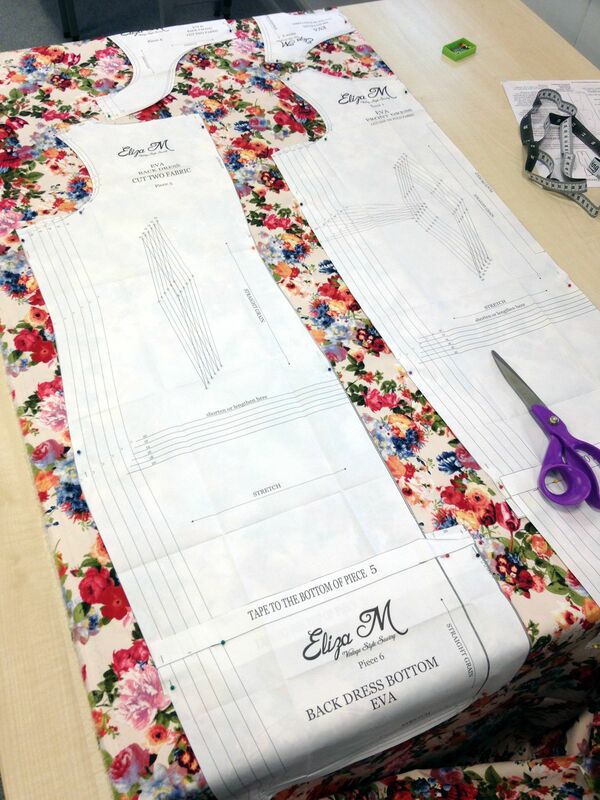 So I recently signed up to do a clothes making evening course at my local adult education centre to help me learn how to read and use patterns! I have been to two weeks classes, and so far I’ve cut my fabric. It’s a lot more complicated than I thought, but it’s so much easier watching someone do it than trying to work it out myself, and have someone to ask when I’m not sure. 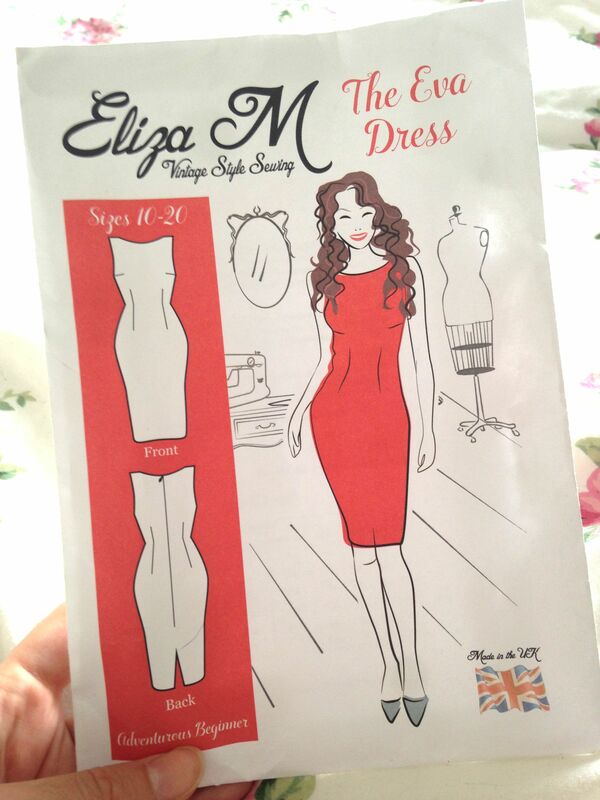 This is the pattern I’m using, I got it free in an issue of Love Sewing Magazine. It’s not a great one to use because it doesn’t have a great amount of detail on it like commercial patterns do and she’s teaching us all about that, but it’ll do, and I’ll get a proper one next time. The other great thing about going to the class is that we can get practical help from our tutor, she took my measurements and my bust and waist are one size, and my hips come up 3 sizes bigger! This is one of the problems I find when trying to make (or generally wear!!!!) clothes. So she is going to help me adjust the pattern and fit it to me. So far I’ve cut out the fabric and am working on making ‘tailors tacks’ along the dart lines, which are marks made using contrasting thread, rather than pen or nothing at all. 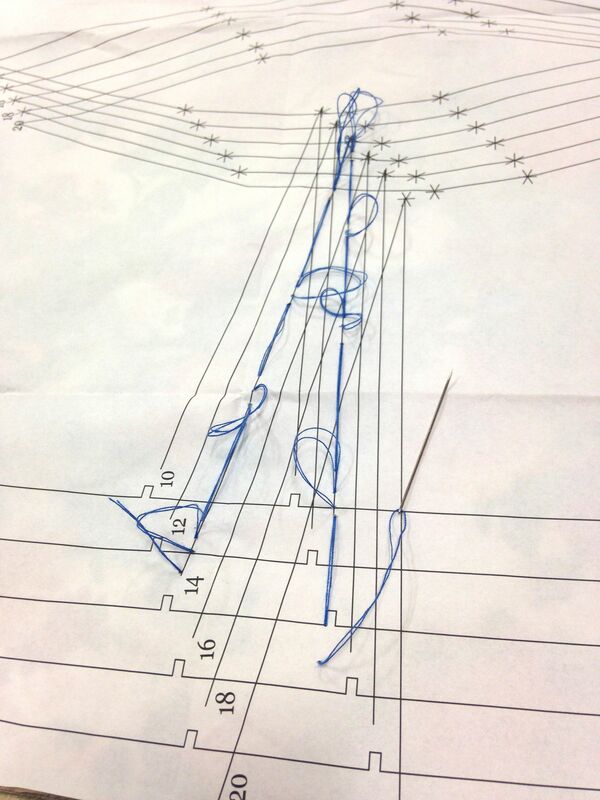 Who knew sewing could be so technical!! Got to do the rest of the tailors tacks now, as homework, so I can start sewing next class!! Just about to get that done while watching a nice Sunday afternoon film- ‘Dude, Where’s My Car?’ Haha! I sometimes find it hard to focus (OK all the time!) but especially when I have too many distractions. I usually work off of my laptop in my room while sitting on my bed, watching TV or trying to crochet a blanket. So I’ve set up an office in my loft, my brother provided the computer monitor, keyboard and mouse, and the desk and chair were already mine but not in use since I came back from university (not by me anyway). My brother had been using this room as a ‘games room’ as in he has 3 computers in a row and his friends would come round and they would sit next to each other playing computer games! He and his girlfriend have just bought their first house, and they’re moving from London up to Warwickshire. The room was done when I was a teenager and we had our loft extension. I was allowed to decorate it how I wanted as long as I decorated it. OK, so I had some help with the horrible bits, the sanding etc, but I chose the yellow and I painted it all. I have been brought up in a world of D.I.Y and cannot wait to have my own house, I already have a collection of things, but no place in sight just yet! Believe me when I do you’ll hear about it. It’s maybe a little late for this but it’s still 2014 for a few more hours!! This took me so long that by the time I had finished it was too late to sell it… and also I wasn’t sure I wanted to be parted from it!!! I’ll try to make some more for next Christmas. 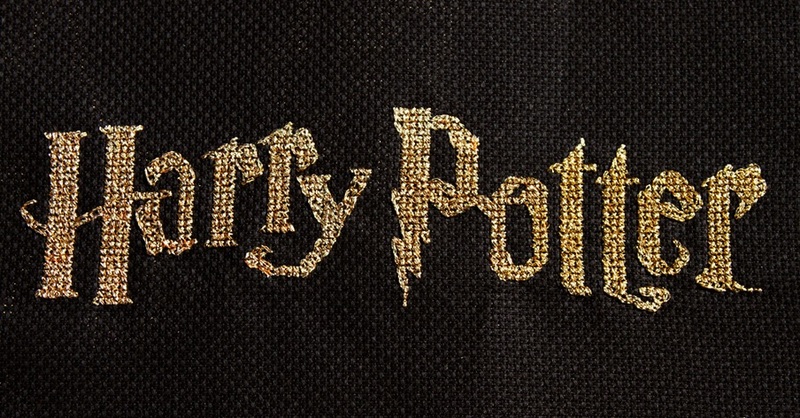 Harry Potter is 34 today, so here’s my Throwback Thursday to my Harry Potter logo cross stitch. It’s one of the favourite things I’ve made, but not my favourite thing TO make as the metallic gold thread drove me mad!!!! Welcome! 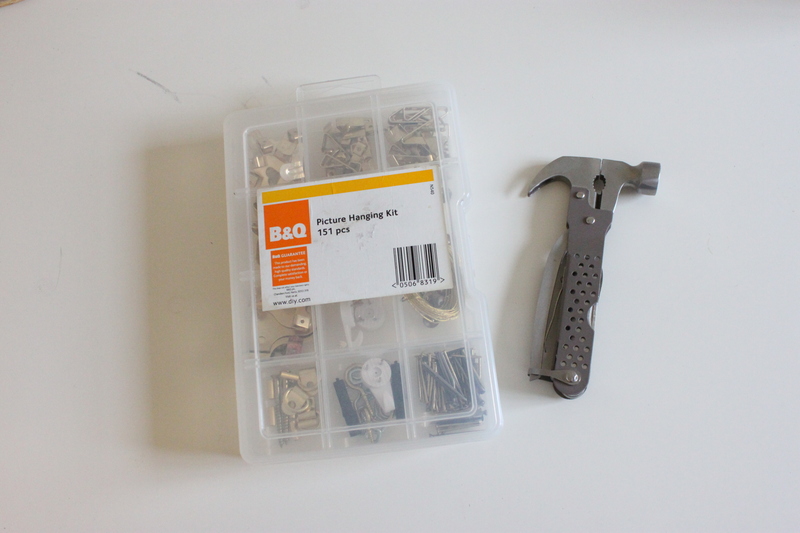 To the first of my new series of blog posts called #MIY- Make It Yourself! Ideas on how to customise or up-cycle simple things into something a bit more special while at the same time looking after the pennies! A couple of weeks ago I turned our garden summer house into a craft work shop. I did this without spending any extra money, just moving my craft things out there, and using old furniture from around my house. My first #MIY was featured in that post, and it is my fabric covered noticeboard. 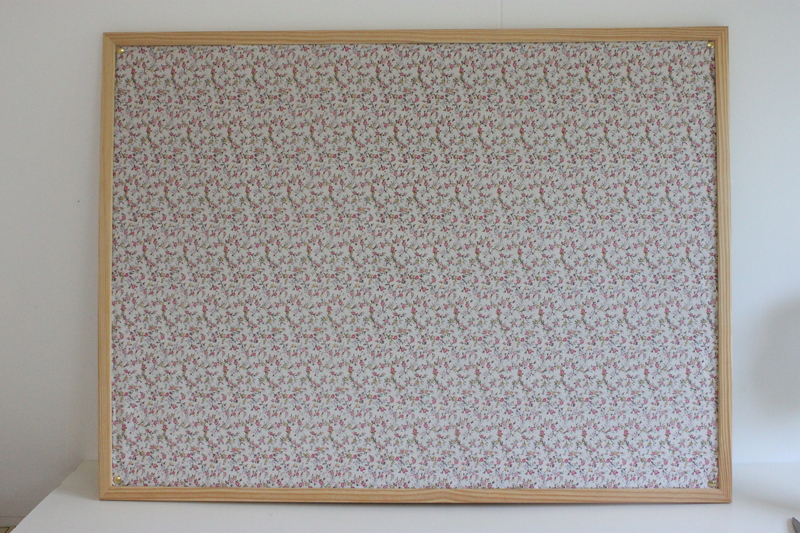 Amongst the things I found stored in my shed were a few unused noticeboards, but if you don’t have one lying around, these are pretty cheap to buy. I also have stashes of fabrics that I have never gotten round to using, this one I had bought with a dress pattern, but still have no idea how to make clothes! So I thought I would make use of it. A screwdriver/ plastic knife/ plastic model making tool or anything else with a flat but blunt edge. 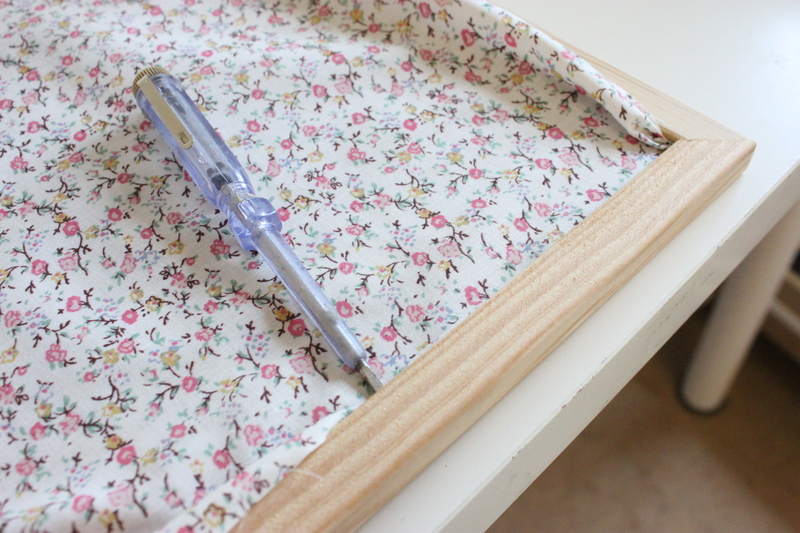 Cut the fabric slightly larger than the size of the noticeboard, including the frame. If your fabric has a pattern make sure you cut it straight so it won’t look wonky! Iron the fabric to take out any creases. Place the fabric on top of the board, the right way up, and use your flat screwdriver or plastic tool to start pushing the edges of the fabric under the frame. Make sure it is pulled tight. When you have done this the whole way round, place a drawing pin in each corner to hold it in place. 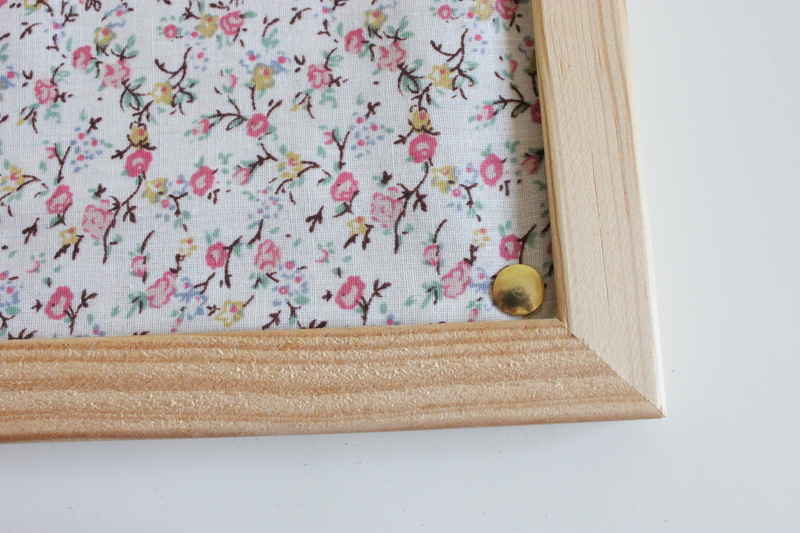 If the fabric seems loose, or the frame isn’t holding it so well, you can create a border the whole way round with your drawing pins. Hanging the board is easy as it is fairly light so doesn’t need much to hold it up. I just used a pin from a picture hanging kit, and hammered it lightly into the wall, and then balance the frame of the noticeboard on top in the middle, so that it is hanging straight. 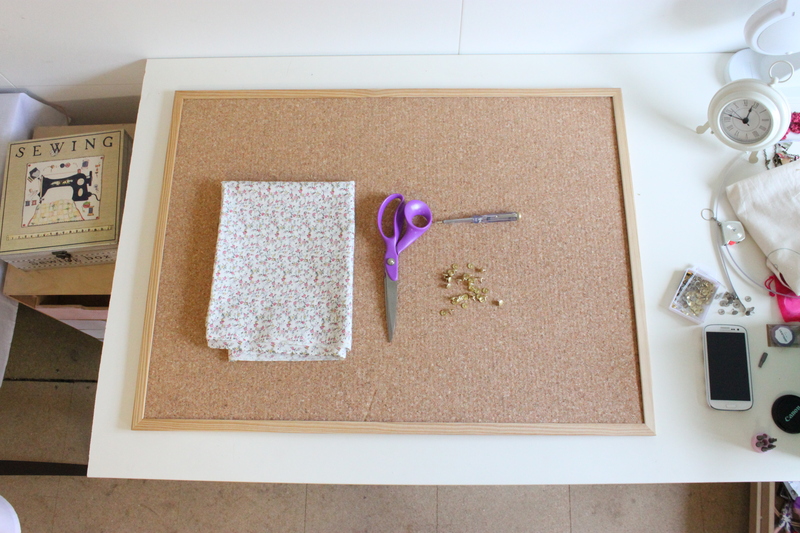 If the noticeboard is heavier or won’t hang straight, you can use two pins to hold it up at each corner. This is my finished board! There’s more on it now, nothing in my life stays this tidy for long!! I hope you enjoyed this first edition of #MIY Make It Yourself, and enjoy customising your own notice board. If you do make this yourself, let me know by instagramming or blogging and tagging it with #MIY and #josiemakes! 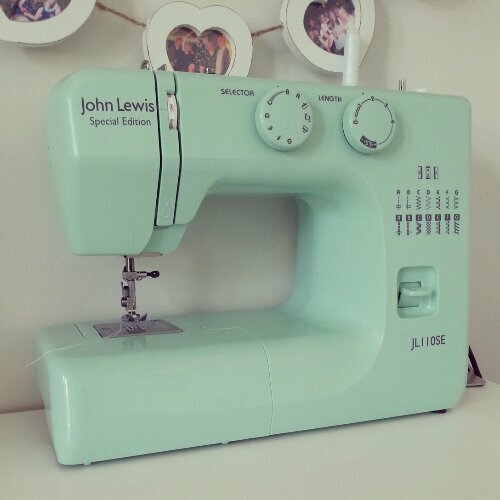 So I finally treated myself to this John Lewis sewing machine I’ve had my eye on for a while. I was trying to make my cat a neck tie (!) with my old machine and I just couldn’t make it work so the next day I went out and bought this! It was only £99 and I had £30 voucher that I hadn’t yet used from Christmas. It’s really great, I’m sewing again! !